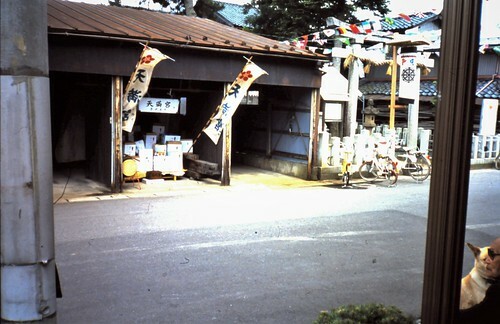 Several locations around the city of Takefu celebrate the ancient scholar, Sugawara Michizane, famed for his power of study. His symbol is the plum blossom, which is the first to bloom. Despite the cold of late winter and hardship of the season, this flower with delicate fragrance persists in reaching full its power. As such it is meant to encourage and inspire others to do so, as well.